Please email k.weston@bray-healthcare.com if you wish to be added to the waiting list for any cancellations. The sessions are free of charge and include a training certificate , samples , sizing guide and lunch. Places are limited so booking is essential. 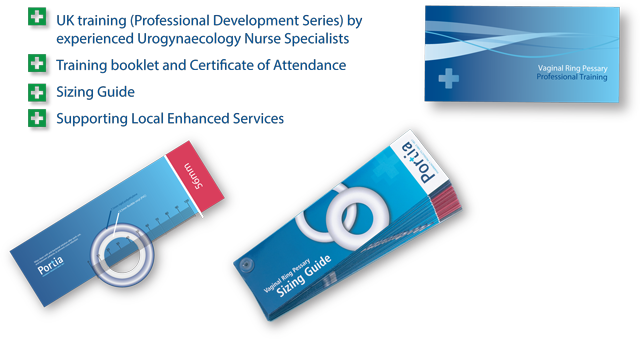 The training is carried out by experienced Urogynaecology Nurse Specialists at Bray Group Offices in Faringdon Oxfordshire. For more information on fitting please see our pessaries fitting guide page. All of our vaginal ring pessaries are manufactured and packed in the UK in a controlled environment.